I spent last weekend visiting my younger sister who attends Ohio University in Athens, Ohio. Though many would expect, in such a situation, to be served mac n’ cheese or ramen for dinner, I was greeted with the opposite kind of meal: A well-planned, gluten-free version of a family favorite, Chicken Parmesan. 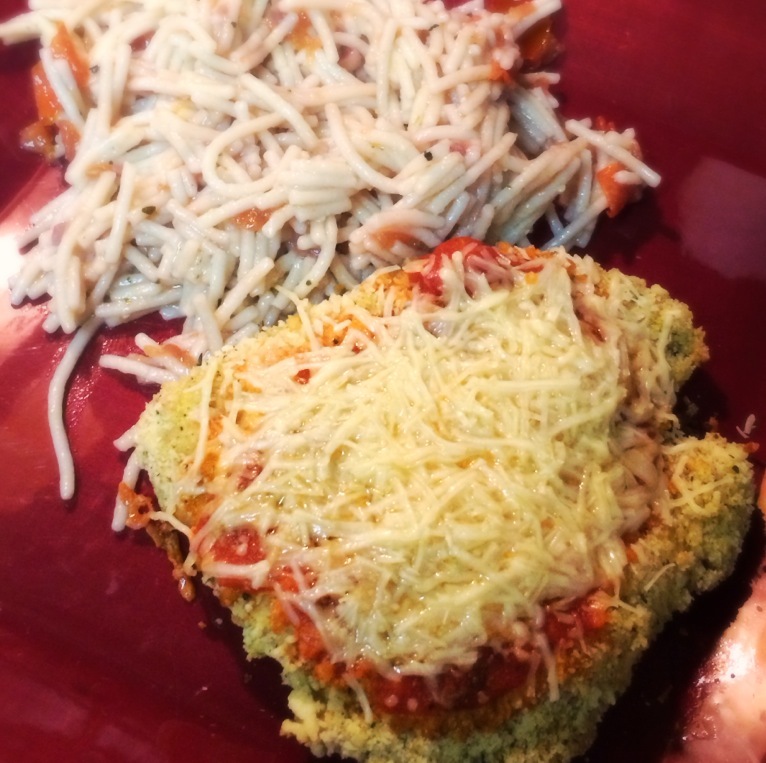 I’m happy to share her recipe below and hope you enjoy learning how to make Homemade Gluten Free Chicken Parmesan! Flatten out chicken and add salt & pepper. 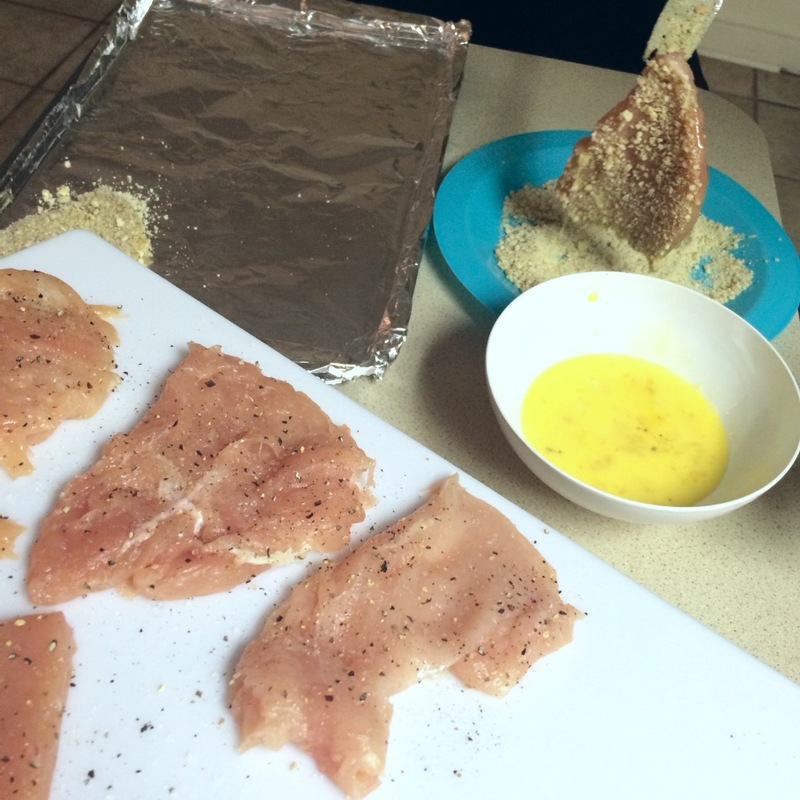 Dip each flattened breast or half breast in egg and them dip in panko crumbs. Make sure each side is coated. Place breasts on a greased baking sheet and spray top of breasts with cooking spray (this will allow the panko to get nice and crisp). Remove breasts from the oven and place store-bought sauce on top of each breast, add shredded Italian cheese and half slice of provolone on top, and place back in oven for an additional 5 minutes. For pasta, follow directions as recommended. Heat stove top to medium high with olive oil, 2 tbsp. Combine and sauté onions and garlic for a few minutes before adding the tomatoes. 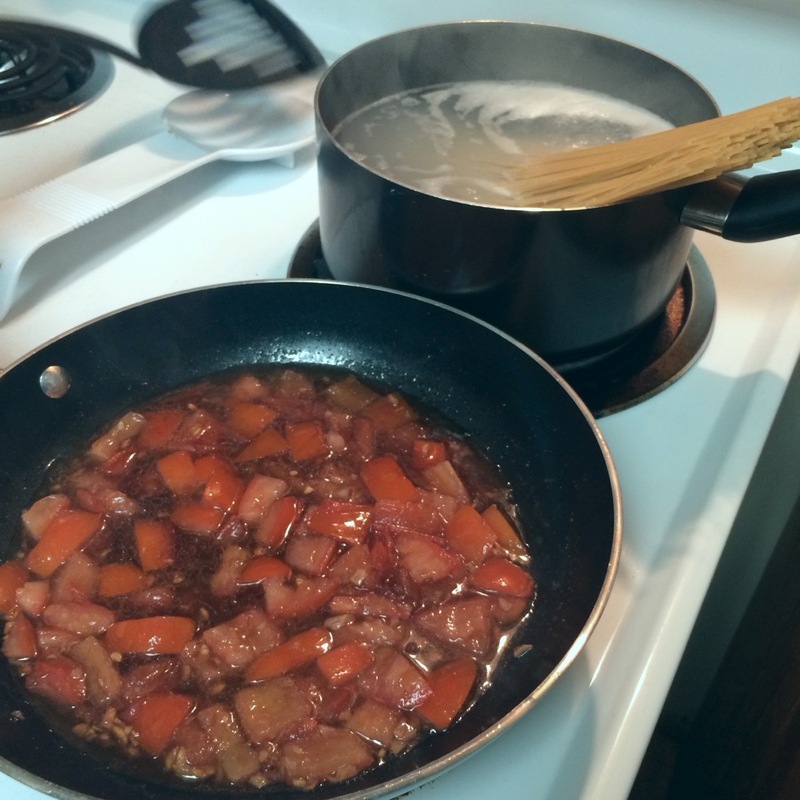 Add pasta to sauce mixture. Toss in extra olive oil and pesto to taste.